Well would you look at that. 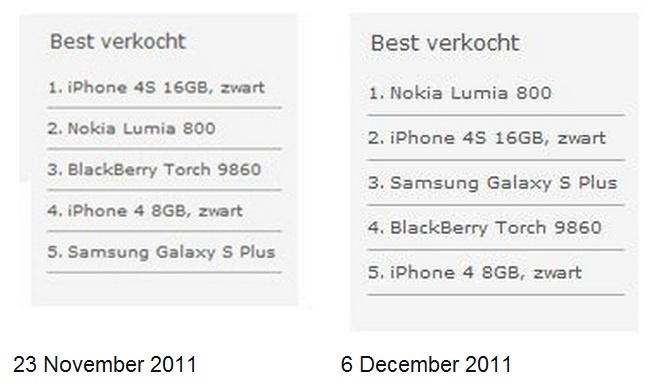 According to KPN, the largest network/operator in the Netherlands, the Nokia Lumia 800 is outselling the iPhone 4S and is the TOP of the best sellers chart. 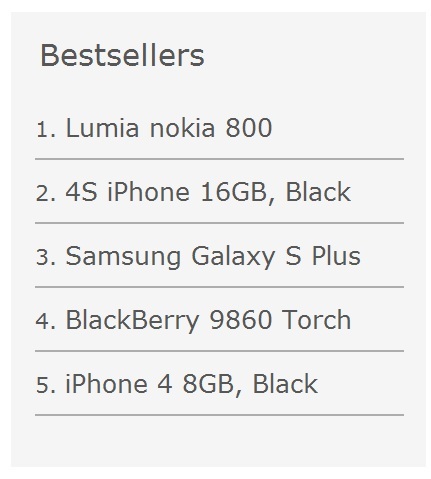 Before it was just second place below iPhone 4S. Some thought that was the best it was ever going to get given initial sales pushes. Pretty great news for a phone doubters are saying nobody wants. So a hit in the UK and growing to be a hit in the Netherlands too. It seems as people are giving the Lumia a chance, they’re really liking it. Fantastic hardware and design, great software, produces something that’s always more than the sum of its parts. Fact. 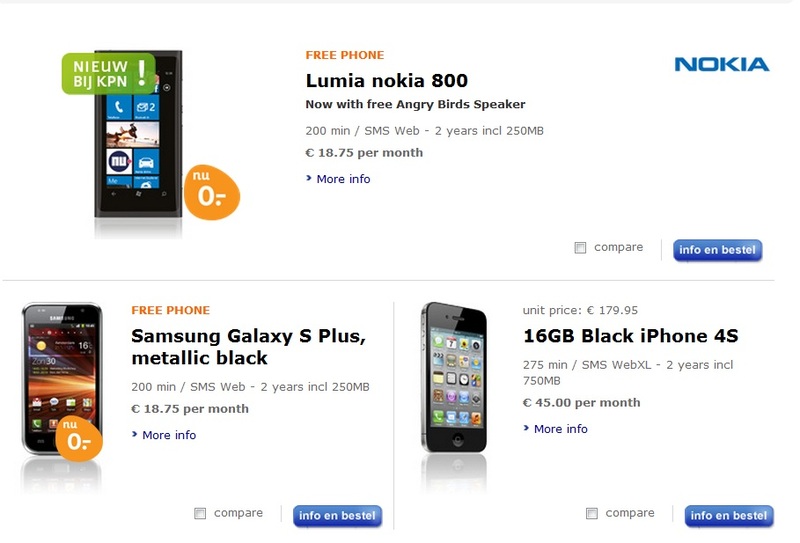 More Netherlands related news – NU.nl reports on research by GfK that by the end of 2012, Windows Phone is expected to earn 10-15% marketshare. Right now the share is negligible. I wonder what that research is based on. More tangible perhaps than those forecasts predicting things 5 years into the future (Even if it is rosy for Nokia should WP be near or at the top, it’s way too far out ahead and still with relatively small success). Great job, Nokia. Three cheers Nokia fans! Such news like this is rare and extremely unexpected. Thanks to Viipottaja and Ryfsap for the tip!